Frank Solivan and banjoist Mike Munford (2013 International Bluegrass Music Association Banjo Player of the Year), guitarist Chris Luquette (IBMA Instrumentalist of the Year Momentum Award winner) and doghouse bassist Dan Booth simmer a bluegrass/newgrass stew from instrumental, vocal and songwriting skills so hot, they also earned 2012 and 2013 Best Bluegrass Band honors from the Washington Area Music Association. They will be performing at Common Ground on the Hill Saturday, January 11 at 8 PM. Westminster, MD - June 9, 2012 - Common Ground on the Hill presents the 40th Anniversary Deer Creek Fiddlers' Convention on Saturday, June 9, 2012, from 9 AM to 7 PM at the 70 acre Carroll County Farm Museum in Westminster, Maryland. The Fiddler's Convention has been a Maryland tradition since it was founded in 1972. Common Ground on the Hill presents one concert in TWO locations featuring Irish Fiddle Master Kevin Burke. Common Ground on the Hill continues its tandem concert series with the final concert of the season and a renowned artist from the Celtic music tradition. 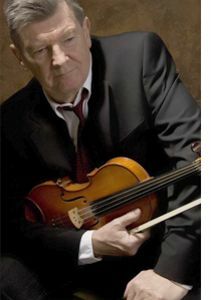 Irish Fiddle Master Kevin Burke appears at Brown Memorial Woodbrook Presbyterian Church (6200 North Charles St., Baltimore, MD 21212) on Friday, April 6th, and at the Carroll Arts Center (91 West Main St., Westminster, MD 21157) on Saturday, April 7th. Westminster, MD -- Common Ground on the Hill is excited to offer winter-spring Jam Classes with instructor Christopher James during the "school year." Classes will be on the McDaniel College campus in Westminster, MD, Monday evenings February 6t thru March 26th, 2012. The total cost for eight group lessons is only $160. 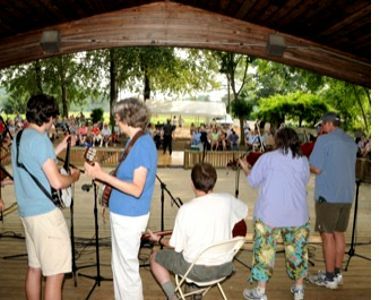 These group classes are offered as a way to stay in good musical form and to get ready for the myriad of Tradition Weeks offerings at Common Ground on the Hill in July. Christopher James is a wonderful teacher. Participants will have fun learning to play good music with other folks. Common Ground on the Hill Presents 2 Concerts in 2 Locations! Half a century ago, people in the mountains of the North Carolina and Southwest Virginia celebrated Christmas quite differently than the way most of us do now, holding two weeks of informal house parties that were filled with old time fiddle music, song and dance - a tradition they called Breaking Up Christmas. 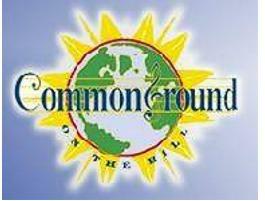 Read more about Common Ground on the Hill Presents 2 Concerts in 2 Locations! Westminster, MD -- Those who attend the Common Ground on the Hill concerts this fall, winter, and spring at the Carroll Arts Center (91 West Main Street, Westminster, MD 21157) can benefit from a novel ticket voucher program, Common Ground on the Hill Executive Director Walt Michael has announced. At the concerts, ticket buyers may exchange each ticket for a voucher worth $5 off food or beverage at three downtown Westminster institutions: Rafael's, Johansson's Dining House, and Harry's Main Street Grille.